Autumn season packs in tons of exciting dramas! 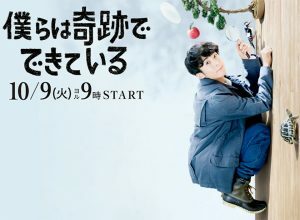 Abe Hiroshi and his highly rated drama “Shitamachi Rocket” returns for a 2nd season for TBS Golden Sunday timeslot. Yonekura Ryoko is back for TV Asahi, not as Doctor X, but this time as a fierce former lawyer in “Legal V”. 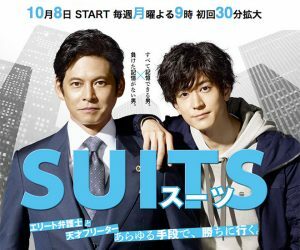 Fuji TV’s getsu9 is remaking the US legal drama “Suits” starring Oda Yuji and Nakajima Yuto. NHK starts new Asadora “Manpuku” featuring multi-awarded actress Ando Sakura. And can Aragaki Yui work her magic yet again after “Nigehaji” for new romantic drama “Kemono ni Narenai Watashitachi”? 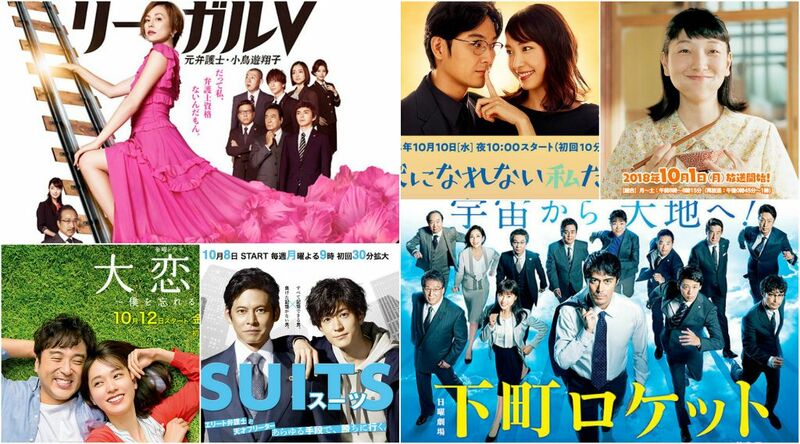 Read on below for more of upcoming autumn dramas and take your pick from the list. What are you watching? 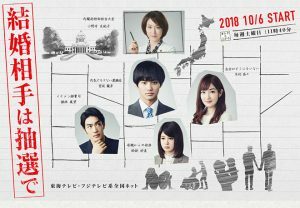 Synopsis: Kai Shogo (Oda Yuji), a graduate from Harvard University is a competent lawyer who works at a famous legal firm in the city. Due to his slightly arrogant personality as a result of his top class earnings, he occasionally becomes the subject of debate amongst his co-workers. However, he dismisses many of the opinions thrown at him, as he continues to successfully solve major litigation cases. One day, he gets ordered by his boss to hire an associate partner for his position, so he decides to hold a interview session with his secretary. Meanwhile, Suzuki Daiki (Nakajima Yuto), a young man with highly proficient skills comes for an interview. Despite his abilities, he had been spending much of his life up until this moment as a delinquent, without a stable job. However, after weighing up the pros and cons, he decides to hire him, even though he was originally reluctant to hire anyone with the background such as his. Synopsis: Aikawa Kazuki (Takahashi Issei) is an instructor of Ethology at a university. However, when he is researching about animals and living species, his passion often makes him disregard everything around him, which usually leads to a scolding session by his university bosses. However, he soon gradually begins to remember some of the pure feelings during his childhood years, when he always used to innocently and passionately be submerged within the world of his interests, all of this which are sure to be a heartwarming for everyone. 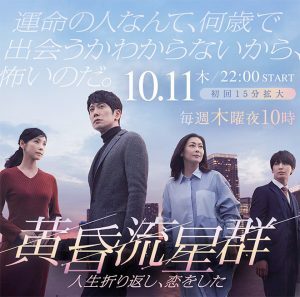 The main character, Takizawa Kanji (Sasaki Kuranosuke) is a hardworking banker who had been living a work based lifestyle all his life. Relationship wise, he now barely spends quality time with his wife, Mariko (Nakayama Miho) , and his daughter who has now grown up. One day, he suddenly gets the order to transfer to one of his client companies, despite his reluctance to be moved. This leaves him in a state of shock and confusion, eventually making him question about his life and identity as a whole. However, whilst being at the rock bottom of his life, he suddenly comes across a poster of a beautiful snow covered mountain. From this moment onwards, he makes an abrupt decision to go to Switzerland. There he meets a special woman called Shiori Meguro who has come to the Swiss Alps on holliday, as they begin to share their life’s experiences. Considering the continuous drop of the birthrate, the Japanese government has decided to enact the “Marriage Lottery Act.” Under this law, people aged 25 to 39 who are single and have no children have to get married to the people whom the government selects. Miyasaka Tatsuhiko (Nomura Shuhei) , is a single 26 year old, who is subject to this law. He has always been finding a difficulty getting a girlfriend due to his inability to trust people around him and also because he is a clean freak. On the other hand, a woman who comes from a good and wealthy family called Nana (Takanashi Rin), is also subject to the law, because she broke up with her boyfriend right before the law was enacted. The two of them, who would’ve never met if the law didn’t exist, eventually take part in a marriage interview. What kind of relationship will the two destined characters move into, amidst a society which has changed so suddenly!? This is a challenging social drama which also poses the viewers the question about the right definition of marriage and family, in this modern society.